At my age, I don't encounter many friends having babies like I use to, so I'm always delighted when I get the opportunity to make baby gifts and cards. 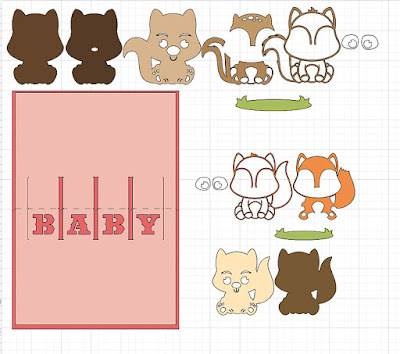 Today I'm doing a quick share of a fun little baby card that features super cute SVG cuts using my Cricut machine. 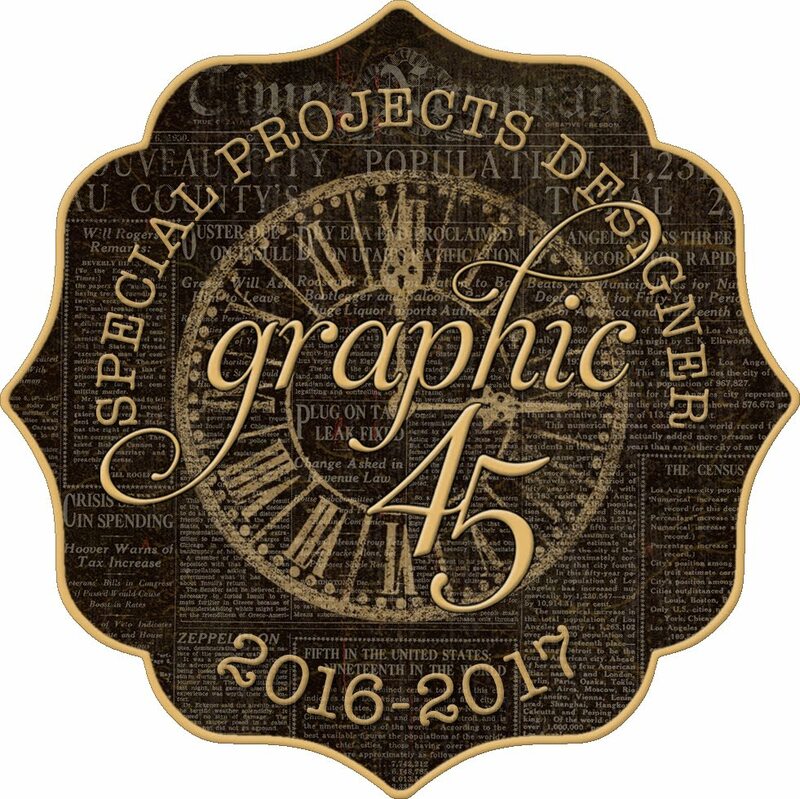 I've used Graphic 45's Little Darlings Deluxe Collector's Edition for the papers and chipboard, and Miss Kate Cuttables for that cute little squirrel. The actual card base, which you'll see in the next few photos, is also cut on the Cricut. 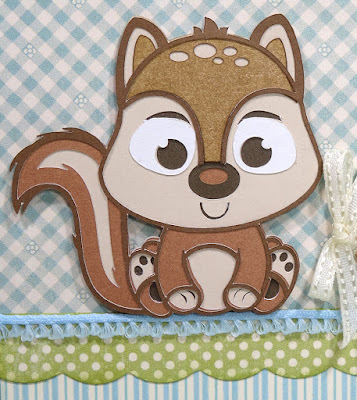 It comes from Close to my Heart's Artfully Sent cartridge and is called "Baby Pop-up Card." As you can see on the cutting mat above there's also a Baby Fox, very similar to the Baby Squirrel. Both are from Miss Kate Cuttables. 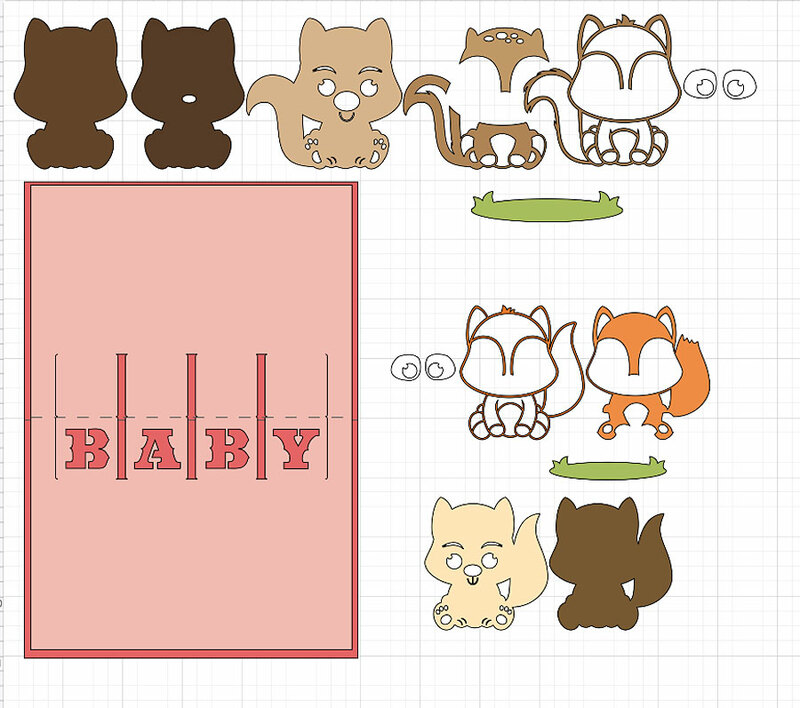 I'm sharing this screen so you can see the layers it takes to make these little cuties. Here's the inside of the card. That baby fox is darling, is he not? 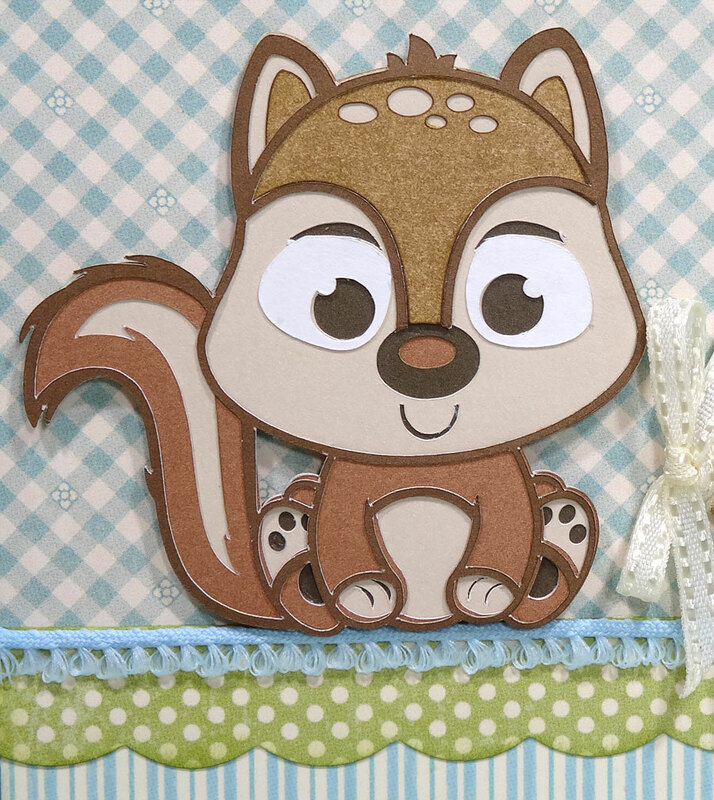 And the Little Darlings collection is perfect for this baby card. Here's a side view of that fun pop-up of the letters. It's such a simple assembly, yet impressive! 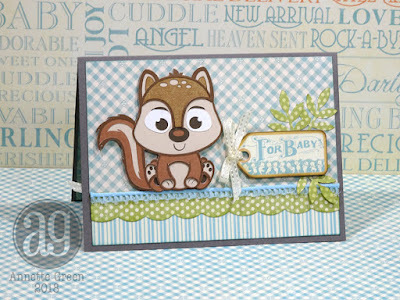 I created a raised pocket from the "For Baby" cut-apart, then slipped in a folded tag onto which I wrote my message; just another little interactive feature to this sweet baby card. The card accompanied a handmade baby blanket with matching burp cloths and bibs (two of each). This was something I use to do quite a while back; making and selling baby things. Some days I miss it, so I really enjoy when the opportunity arises again. My neighbor is due to have another baby this Spring, so I'm looking forward to shopping for her flannels soon! Thanks for stopping in today. Have a great week!